Oils have been used for centuries to heal certain ailments, stimulate the senses, alter moods and emotions and help the body’s own natural healing processes. Whether you’re suffering from a specific health concern, are curious about the variety of wellness and skin care benefits offered by different essential oils, trying to live a more natural lifestyle or are just looking for a way to relax and unwind while making your home smell divine, then read on to find out about all the different types of oils, carriers, safety, blending, chemical constituents and more. Whether you are new to the exciting world of essential oils or a regular user, we hope this guide provides a one stop quick and easy reference point that you can access from anywhere with an internet connection at the click of a button. Select your desired oil from the dropdown below to instantly be taken to the information associated with that oil. Top: The first smell to rise from a blend which evaporates quickly. Top notes add brightness to the blend and are usually light, fresh, sharp, penetrating, and airy. These aromas stimulate the mind and are uplifting so good to combat fatigue, lethargy, depression and to boost mental alertness. Citrus oils are top notes. Middle: Also known as the “heart” note, middle notes give the aroma of a blend softness and fullness and can round off any sharpness, harmonising your blend. Top and base notes can be present within middle notes and the aroma is soothing and harminising for the mind, helping to provide balance. Base: Base notes provide a deep, warm, grounded effect to a blend and reduce the evaporation of top notes. Their earthy aroma is slow to rise and adds intensity to a blend. These aromas are calming and help relieve anger, stress, anxiety and insomnia. Mainly extracted from woods, resins and roots. For safety reasons, essential oils should not be applied directly on to the skin. This is where carriers come in which are oils, lotions or creams that are used to dilute essential oils before applying them to the skin. If an essential oil or blend causes irritation on your skin, immediately wash it off with soap and water, and then apply carrier to the affected area. Carrier oils often have their own unique characteristics and therapeutic benefits and many lotions and creams are often made using carrier oils. For example carrier oils high in essential fatty acids (alpha-linolenic acid and linoleic acid) are great for the skin. Important to note is that essential oils don’t dilute in water so this is the equivalent of applying pure essential oil to the skin. Essential oils are attracted to fats (which slow their absorption and reduce the chance of skin irritation), so if you are adding them to the bath, it is a good idea to add a few drops to a tablespoon of milk or a carrier first before adding to the bath water. So what are carrier oils? Often called base oils, fixed oils or vegetable oils, they are derived from the fatty portion of a plant (essential oils are attracted to fats) like the seeds, kernels or nuts and many have wonderful health benefits in their own right. They don’t evaporate though, so the aroma is not strong like essential oils and they can go rancid over time so pay attention to the expiration. A strong, bitter aroma is characteristic of a rancid carrier oil. These are ratings given to substances based on their likelihood to clog pores. Given that many people use essential oils and carrier oils in their natural beauty, skincare and cosmetic alternatives, it is important to understand how these substances work and how they can affect you. The rating is from 0 (should not clog pores) to 5 (very high chance that it will clog pores). Prunus amygdalus var. dulcus 2 The oil itself has B and E vitamins and it is very commonly used in a variety of skin preparations. It is a good choice for those who have sensitive skin but those who have a nut allergy should avoid it. A patch test using a very tiny amount could be tried for those who are unsure. 2 Similar to almond oil, the texture of this oil makes it a popular choice for use in massage. This oil only has a slight aroma but is packed with vitamins and great for moisturising the skin without oily residue. Argania spinosa 0 Very mild in aroma, this oil helps support the skin’s natural elasticity while it nourishes and heals. The vitamins and fatty acids make this oil a popular ingredient in anti-aging and skin care products. Persea americana 3 Avocado oil is rich and has a slightly sweet but nutty fragrance. The consistency of the oil is thick and the colour is a strong olive green. It is one of the most nourishing oils and for this reason it is often found in skin and hair care products. Feels thick/waxy on the skin. 2 Famed for its essential fatty acids, this oil is commonly used in aromatherapy and skin care although due to cost, it is often used in a blend. Camellia sinensis or Camellia oleifera 1 (unless it’s the high oleic acid green tea seed oil which is 2-3) Rich in antioxidants, this fast absorbed high end oil is popular for wrinkles, fine lines, makeup removal and hair care. Vaccinium macrocarpon 2 Offering a unique blend of fatty acids and vitamins, this oil is very nourishing to the skin and popular for use with anti-aging products and skin conditions. 4 (but many seem ok using it) Available as virgin (complete) or fractionated (distilled to only contain the medium chain triglycerides). Fractionated is liquidated and a light, non greasy, colourless and odorless oil that is nourishing for the skin and popular in massage. Virgin is solid/creamy at room temperature and has a strong coconut aroma. Oenothera biennis 2-3 This oil is one that is high in essential fatty acids so it is a popular choice for skin products although this also means it goes rancid quicker. It is for this reason that it is often used in products designed to ease the symptoms of eczema. However, it is often used alongside other carrier oils in a blend as it is quite costly. Vitus vinifera 1 This is one of the more popular carrier oils. It is a thin oil, that is lightweight and when it is used it leaves a sheen on the skin. The oil is a very pale green-yellow and the aroma is slightly nutty. It is a popular choice for massage, but solvent-extracted versions may have some chemical residue. It is important to look for a brand that has been expeller pressed. Contains essential fatty acids. Corylus avellana 1 The sweet, slightly nutty fragrance of hazelnut oil makes this another of the popular oils. It can be absorbed quickly and easily by the skin and it is a good choice for a massage, particularly for those who have oily skin. The oil is slightly astringent so if you want something that will moisturize, another oil may be a better choice. 0 Doesn’t contain the THC that is found in cannabis but does contain heaps of fatty acids and vitamins for optimal skin health and vitality. 2 This oil (actually a wax) is thick and has a waxy texture but it does have a unique pleasant aroma. It is a popular choice for massage and it benefits from a long shelf life. It has healing properties for those who have acne-prone skin, but only small amounts are needed – just a few drops will suffice. 2 Well absorbed by the skin and great for use with many skin conditions due to the fatty acid content. 1 This odorless, stable oil offers antioxidants, fatty acids and vitamin E to rejuvenate the skin, help support anti-aging while softening the skin and enhancing the glow. 2 This is not one of the most popular oils, possibly because it is more widely associated with cooking. It has a long shelf life but it also has a strong aroma. If using with essential oils a cold-pressed extra virgin variety is best. 2 Not to be used by anyone with nut allergies, this thick oil is popular in massage. 2 Often used in massage, this oil can be overpowering so is often used sparingly in a blend with another carrier oil. 1 Rich in antioxidants, vitamins and fatty acids, this smooth, easily absorbed oil is popular for use with dry skin and anti-aging products as well as in massage. 1 Excellent for many skin conditions, this oil is high in essential fatty acids, vitamins and antioxidants. A high cost oil, it is usually blended with other carrier oils. 1 Popular in facial serums and anti-aging products, this highly nutritious oil is high in essential fatty acids, vitamins and minerals. 3 This oil is commonly used in Asian cookery and it does have a strong fragrance which is a little overpowering for aromatherapy. It is often used as a blend with other carrier oils, particularly as it is a thick oil. However, it is a good choice for massage. 0-2 Very affordable and highly nourishing, this is a great all round carrier oil. 0-1 Light and great for oily skin, this oil has a long shelf life and easily absorbed consistency. It is also very nourishing for the skin. Some chemical constituents that are present in certain essential oils are known to cause irritations of the skin and mucous membranes and the irritation could affect you immediately or it might actually take some time and repeated use before you experience it. This is why you should always dilute with a carrier and conduct a patch test before using essential oils topically. When it comes to diffusing, an oil known to irritate should be used sparingly or alternatively, choose a different oil with similar therapeutic properties but without the chemical constituents known to cause irritation. Refer to the GC/MS reports of essential oils to help you with this (trustworthy retailers should make these available to you). A patch test is a way to test your sensitivity to an oil or blend in a controlled environment before proceeding to use the oil topically (but still diluted with a carrier), therefore reducing the risk of irritation and ensuring you are using essential oils safely and effectively. Sensitization is an allergic reaction that evokes a response from your immune system. The substance that causes this reaction is referred to as an antigen and when an antigen triggers an immune system response the first time it is encountered, you could experience different reactions to further subsequent exposure to the same substance and this could be itching to severe inflammation. If you have become sensitized then unfortunately you should no longer use that oil, as even a tiny amount can trigger a severe response. Dilution rates of essential oils are generally at a rate of 1%, 2% or 3% ratio of essential oil to carrier. To save you some math, I’ve put together the below table with some dilution guidelines which I found in the free introductory course from Andrea Butje of Aromahead. We are not claiming that any essential oils have these therapeutic properties commonly associated with the list of chemical constituents below. We are simply listing some common chemical constituent families that are usually of interest to aromatherapists, with what are believed to be their features along with the safety considerations for your reference. Under no circumstances should products containing these chemical constituents be ingested and you should seek urgent medical attention if ingestion has occurred. Unstable and oxidize easily so store in a cool, dark place. Safety is paramount with ketones and they have to be assessed on an individual basis as some are highly toxic whereas others are not considered to be hazardous. Most monoterpenols have very low toxicity and are generally safe for topical use (when diluted with a carrier) and not known to be irritants except menthol. Products with high numbers of phenols should only be used topically in very low dilutions for short periods of time. It’s hard to generalise the properties of this compound group and best to assess each constituent on an individual basis as they can have unique effects including but not limited to the below. The most common methods of distillation are: steam distilled, cold pressed and solvent extraction. Fresh or dried plant material is put into a still, and pressurized steam is pumped into the still. It is the heat of the steam that opens the releases the essential oils from the cells in the plant. The steam and essential oil mixture passes through a tube into the condensation tank where it cools to form an oil and water mixture. The essential oil then naturally separates from the water. No chemicals are supposed to be used making this a pure, natural way of extracting essential oil. Used for many flowers and leaves, woody plants and the tree oils First the peel is grated by rolling the fruit over a trough which punctures the cells containing the essential oil. The fruit is then pressed where the juice and essential oil is extracted. The essential oil rises to the top of the mixture and is separated from the juice by a centrifuge. Mainly used for delicate flowers that could be damaged if steam distilled. A solvent is poured over the flower causing the essential oil to dissolve into it. The actual solvent used can vary but often involves toxic chemicals. This process results in a semi-solid material known as a ‘concrete’ which is commonly used in the perfumery industry. The waxes and unwanted substances need to be very carefully washed away to leave the desired oil which is known as an ‘absolute’. The advantage of this is that it allows the flower’s pure fragrance to be captured (very appealing to the perfumery industry). The disadvantage of an absolute is that when the process is not done with expertise, the chemicals used in the extraction process may remain present in the oil. In no way are we advocating or claiming that any essential oil has any of the below properties. It is simply a table of common therapeutic properties you may come across and hear used in the medical profession, pharmaceutical industry, by aromatherapists and practitioners of herbal medicine. *NEVER use essential oils undiluted on the skin, not even in the bath. Always dilute with a carrier. About: Allspice is much loved by keen cooks because its spicy warmth makes it ideal for both sweet and savoury bakes. A natural analgesic and anaesthetic, it is often referred to as pimento oil. The trees are often used on coffee plantations to provide shade. Native Country: Allspice trees are native to Jamaica but are now found all over the world. Mind: Allspice oil can be used to help to ease stress, nervous disorders and anxiety. Diffusing the oil can help you to relax. Also thought to be an aphrodisiac. Precautions: Allspice should be used carefully by those who have sensitive skin and the oil can also be irritating on the mucus membranes. Allspice should not be used neat and should not be used on children. About: The liquorice fragrance of aniseed oil makes it an essential cooking ingredient in countries like India and Turkey. Native Country: Aniseed herbs can be found in many parts of the world, Spain, Greece and Egypt is thought to be the origin. The oil is taken from the small seeds of the flowers. Application methods: diffusing, inhaling, dilution in the bath or shower. Mind: Warming, uplifting and comforting, aniseed oil can be used to help ease anxiety, burnout and nervous problems and to balance and replenish Qi. Precautions: Care should be taken not to confuse aniseed oil with star anise oil. At low temperatures it can solidify so should be warmed to room temperature before use. It is a phototoxic oil so users should avoid being in direct sunlight for at least 24-48 hours after use. It should be avoided by those who are pregnant, suffering from cancer, have liver disease, those who are breastfeeding and children. About: This herb is found in many kitchens all over the world and is used dried, fresh or in the form of an oil. Its stimulating qualities make it ideal for use when you are feeling under the weather. Native Country: Grown easily in warmer climates and native to tropical Asia and Africa, basil is a herb that can be grown in many parts of the world. Scent: The fragrance is fresh, spicy-sweet. Mind: Basil oil can help with mental alertness and should be inhaled to help to focus the mind. Tonifies yang and lifts the spirit. Good for people who are mentally and physically exhausted. Precautions: Basil oil should be avoided by those who are suffering from epilepsy and cancer, by those who are pregnant and those who have sensitive skin. It can be irritating to the skin and those under the age of 16 should not use it. About: Bay leaves are a culinary favourite thanks to the aromatic leaves, but the essential oil has a stronger fragrance than the leaves, so it is often used in the making of candles and soaps. The ancient Romans linked the herb with strength, peace and protection. There are several botanical species known under Bay. Native Country: Thought to have originated in Asia and grown easily in most climates, it is a popular herb in most parts of the world and now considered native to the Mediterranean. Mind: inhaling the oil can help with creativity and with balancing the emotions. Circulates and regulates Qi. Suited to people who lack confidence and self esteem. It promotes intuition, insights and courage. Precautions: Bay oil can irritate the mucus membranes and can be irritating for the skin, especially with frequent use. Users of anticoagulant medication and sufferers of haemophilia should not use the oil. Those who are pregnant should avoid the oil, as should those who are suffering from cancer, kidney disease and liver disease. It should not be used for children under the age of 6. Blends with: allspice, bergamot, cardamom, cedarwood, clary sage, clove, coriander, eucalyptus, frankincense, geranium, ginger, hyssop, juniper, lavender, lemon, nutmeg, orange, oregano, palmarosa, patchouli, pine, rose, rose geranium, rosemary, thyme, ylang ylang. About: Benzoin is an oil used mainly within the perfume industry and for making incense. Native Country: The benzoin tree is found mainly in tropical Asia. The oil is made from the sap of the tree. Sumatra benzion is from trees in the Malay peninsula, Sumatra and Java and Siam benzion is from trees from Laos, Vietnam, Cambodia, China and Thailand. Siam is considered higher quality and preferred in perfumery. Scent: The fragrance is warm, sweet and balsamic and a little similar to vanilla. Mind: Benzoin oil is extremely relaxing and can help to ease everyday stress and anxiety. It is useful for helping balance the emotions. Precautions: The sedative effect of benzoin oil means that using it before driving or operating any kind of machinery is not advised. It is not safe for use on children under the age of 6. About: Bergamot is an oil that was originally developed to treat digestive problems and feverish conditions. It is popular with perfume manufacturers and it is now one of the most widely used essential oils. Native Country: Italy – the name comes from the city of Bergamo and the oil comes from the rind of the citrus fruit. Also now produced in Morocco, Corsica and Ivory Coast. Scent: The fragrance is strongly citrus, fresh and sweet with a herbaceous undertone. Application methods: Can be used in the bath or shower, diffused to harness the emotional benefits, inhaled/diffused for emotional benefits or diluted for use in massage. Mind: Bergamot oil is calming and relaxing and can be used to help depression, anxiety and stress. It has a sedative yet uplifting effect and stimulates the flow of Qi. Precautions: Bergamot oil has phototoxic qualities so those who use it should not be exposed to sunlight for at least 24 hours. It should not be used on children aged 6 and under. Max 0.4% dilution for topical use. About: This is a popular essential oil for skin and hair care and it is well known for its pain-relieving qualities. The main component of the oil is methyl salicylate. Sometimes it is known as silver birch, sweet birch or European white birch. Native Country: Native to North America, it was used widely by Native Americans and European settlers. Scent: balsamic, sweet and very similar to wintergreen. Mind: Birch oil is not normally used for mental and emotional reasons and more for physical purposes. Precautions: Care should be taken by those who have sensitive skin and the oil should be diluted in a solution that has no more than 25% birch oil as part of that solution. It should be avoided by epilepsy sufferers and those taking anticoagulant medication. Those who have an allergy to aspirin should not use the oil and nor should those who are pregnant. About: Black pepper oil is a stimulating oil that has been used in medicinal practices for thousands of years. Native Country: The first recorded use of black pepper for medicinal purposes was 3000 years ago in India. Precautions: Care should be taken when using black pepper oil if you have sensitive skin. It can also overstimulate the kidneys and should be avoided before trying to sleep. It should not be used in combination with homeopathic remedies, should not be used by those who are pregnant and it is not to be used on children aged 6 and under. About: Cajeput oil is very similar to tea tree and is great for those who are feeling under the weather. It is often referred to as white tea and cajeput. Precautions: Those with sensitive skin should use cajeput oil carefully as it can irritate so make sure it is well diluted and doesn’t come in contact with mucous membranes and it should never be used on children under 6. About: Calamus is an essential oil that is taken from the roots of a wetland plant and is often used by those suffering from emotional distress. It is also known as Sweet Myrtle. Mind: Dealing with emotions of shame and to reduce panic, tension and anxiety. Precautions: Different varieties have different levels of toxicity but this oil should be handled very carefully and used sparingly, if at all. It is considered extremely toxic and carcinogenic. About: Camphor is a strongly-scented oil which is very medicinal. It is often used in vapour products designed for aiding breathing when suffering from colds. Taken from the tree of the same name, the oil has been in use for thousands of years. Camphor is steam distilled then rectified and filter pressed to remove much of the camphor and leave ‘white camphor’ which contains cineole and monoterpenes and it is this fraction that is commonly sold in aromatherapy. Native Country: Originally China, Japan and Taiwan, but now also in Sri Lanka and India. Scent: Camphor oil has a strong, medicinal fragrance. Precautions: As long as the safrole content was effectively removed then there shouldn’t be any considerations relating to this particular constituent but even still, this oil should only be used sparingly as too much can cause convulsions and vomiting and can be neurotoxic. It should be avoided by those who have asthma, epilepsy and by those who are pregnant. It should not be used on children. About: Caraway oil is taken from the popular spice used often in cooking. As a medicinal aid, it can help with a variety of ailments and is often referred to as Persian cumin. The use of the spice was in evidence during the Stone Age. Scent: Caraway oil has an intensely spicy aroma. Precautions: Caraway oil can be irritating on sensitive skin and it should be avoided by those who are pregnant. About: Cardamom oil can be used to help with a variety of ailments. Its use dates back to ancient times and in Ayurvedic medicine. Native Country: Originally cultivated in India and tropical Asia. Scent: Cardamom oil has a strong aroma with spicy notes and a hint of camphor and cineole. Mind: cardamom oil can be used to ease nervousness and stress as well as giving a boost to mental alertness. Warming qualities and a tonic to Qi. Precautions: Cardamom oil is generally considered safe for general use. Blends with: aniseed, bay, bergamot, black pepper, caraway, cedarwood, cinnamon, clary sage, clove, coriander, fennel, ginger, grapefruit, jasmine, lemon, lemongrass, mandarin, neroli, orange, palmarosa, patchouli, petitgrain, sandalwood, vetiver, ylang-ylang. About: Carrot seed oil comes from wild carrot seed not the well known root. Infused and cold pressed versions of the oil are available and it often has a strong yellow colour because of the pigment carotene. Claims are often made about the vitamin content of the oil but the highest concentration of vitamins are found in the root of the plant rather than the seeds. Often used in soaps, creams, lotions and perfumes, it is considered excellent for the skin. Native Country: Found in temperate regions all over the world but native to Europe, Asia and North America. Scent: Carrot seed oil has a woody, earthy aroma that is slightly fruity. About: Cassia oil is taken from the tree of the same name and the herb is used widely in soft drinks, curries and sweets. It has a wide variety of health benefits and its use dates back thousands of years. Native Country: The cassia tree is an evergreen that is native to China. Precautions: Cassia oil contains cinnamaldehyde which means it is a strong irritant and sensitizer. About: Cedarwood oil is one of the oldest-known essential oils in the world and it was widely used by ancient civilisations for many different purposes. It remains one of the most popular oils with aromatherapy professionals and is used in many perfumes and household products. Native Country: Originating from the Lebanon cedars from Lebanon and Cypress, but these trees are now protected which means Atlas cedarwood is now related to (a blend of) Himalayan cedarwood and the protected Lebanon cedarwood from which it originated. Most distillation comes from Morocco and Algeria and trees that are 20-30 years old are thought to produce the highest quality oil. Juniperus Virginiana is from Central Virginia through North Carolina and Tennessee, central Kentucky and north Alabama. Mind: this is a calming oil, ideal for use in stressful situations and to ease a nervous disposition. A tonic to Qi it is fortifying and strengthening. Precautions: Generally safe for general use but should not be used during pregnancy and not safe for use on children aged 6 and under. About: Cinnamon is associated with the warmth feeling that the spice generates. There are 3 different essential oils produced from the cinnamon tree – bark, leaves and root. The bark is often used in pharmaceutical products while the leaf is often used in household itens,It is an essential oil that has long been known for its health benefits. It is widely used in Ayurveda and it blends well with many different oils. Native Country: The trees are native to South East Asia, India and Sri Lanka but now widely found in the Seychelles, Zanzibar and Indonesia. Scent: Cinnamon has a powerful, spicy fragrance that is often associated with winter and Christmas. Mind: Cinnamon oil is used to help lift your mood. This is a warming and stimulating oil so good to use in the winter months, if you have chills or are feeling devitalised. Precautions: Cinnamon oil should always be taken from the leaves of the tree rather than the bark. The bark oil is toxic and a severe irritant, although the leaf oil should also be used with caution. It should be avoided by pregnant women and those who suffer from prostate cancer, haemophilia, kidney problems and liver problems. It should be avoided by those who are on anticoagulant medications and those who have sensitive skin. It can also be irritating for the mucus membranes and it should not be used on children aged 6 and under. If you must use it externally then max dilution 0.1%. Native Country: The C.Nardus is limited to Sri Lanka and C.Winterianus is produced in Indonesia, Guatemala, Honduras, Haiti, China as well as India and Vietnam although the latter two are more recent additions to cultivation. Scent: Citronella can have a sweet and citrus fragrance or a fresh, woody, grassy fragrance depending on the strain. Precautions: Citronella oil is generally safe for common use but can cause irritation to some people. About: Clary sage is part of the sage family and it is considered to be an essential part of any aromatherapy professional’s stock. Used for treating a wide range of complaints and conditions, it is obtained by steam distillation of the plant. It has been used for medicinal purposes for thousands of years. Native Country: The plant is widely grown throughout Europe, Russia, Morrocco and the US. Scent: The fragrance of clary sage is slightly nutty but very pleasant. Some would describe it as floral but others describe it as sweet, fruity and herby. Mind: Clary sage is a euphoric and can be used to help lift your mood and help with emotional issues such as stress, tension and anxiety or if you are feeling down. This balancing oil can help with fatigue while also calming the mind while strengthening and improving the flow of Qi. Precautions: Clary sage oil is not recommended for use before driving or operating machinery. Use of sedatives or alcohol at the same time as using clary sage should be avoided. Care should be taken not to use too much of the oil as it can lead to headaches and it should not be used by pregnant women. It is not safe for use on children under the age of 6. About: Clove oil is taken from the spice of the same name and is has long been used for health purposes. Its dental benefits are well-known but there are other conditions that it can be used for so making it a standard part of your kit is a good idea. Cloves are taken from the flower buds of a tree from the Myrtaceae family. Clove stem and leaf are common adulterants of clove bud oil. Native Country: The tree comes originally from the Indonesian Maluku islands. Zanzibar is now a key exporter of clove. Scent: Clove oil fragrance is very strong, with both sweet and spicy tones. Precautions: Clove oil can be irritating and sensitizing for some and it can also be an irritant for the mucus membranes. It should not be used by those who have cancer and it should not be used by pregnant women or on those aged 6 or under. About: Coriander essential oil is taken from the herb of the same name. The herb is widely used in cookery. The seeds of the plant are considered to have been an aphrodisiac by the Egyptians and it can be used for a number of different ailments. Native Country: The herb is native to southern Europe, northern Africa and parts of south-west Asia but now widely cultivated. A lot of the essential oil now comes from Russia, Hungary, Holland, France and England. Scent: Coriander oil has an herby, sweet and slightly spicy fragrance with peppery undertones. Mind: this is a calming oil that is often used to ease emotional issues. Also thought by some to be an aphrodisiac. About: Cypress is an essential oil that can be used to help with a number of emotional ailments as well as physical symptoms. It is steam distilled and taken from the needles of the cypress tree. It is often used as an ingredient in deodorants and skin creams. Native Country: The cypress tree is native to the Mediterranean region including coastal France, Italy, Corsica, Sardinia, Sicily, North Africa, Spain, Portugal and The Balkans. Scent: Cypress oil has a fragrance that is reminiscent of evergreen forests and is very sweet and refreshing. Application methods: Cypress oil can be diffused, used in the bath or shower, diluted for massage, topical. Mind: this is a calming oil that can be used to help to clear the mind and ease stress, so good to use in times of transition. Also supports the flow of Qi. Precautions: Cypress oil should be avoided by those who are pregnant but otherwise it is generally considered safe to use. About: Dill oil works on both physical and emotional symptoms and comes from the parsley family and often used in cooking as a spice. The oil is usually taken from the seeds. Native Country: The plant originally comes from Mediterranean but now cultivated worldwide. Scent: Dill oil has a fresh and warm, spicy scent that is similar to aniseed. Mind: Dill oil can be used to help with the symptoms of nervousness. Precautions: Dill oil should never be used during pregnancy. Max limit of 1.2% dilution for topical. About: Elemi oil is similar to both frankincense and myrrh. It is taken from the resin or gum of the tree and can be used for a number of physical and emotional symptoms. It is widely used by the cosmetics industry and is thought to have been one of the oils that the ancient Egyptians used when embalming mummies. Native Country: The tree originally comes from the Philippines and the Moluccas Islands. Mind: Elemi oil can help with achieving emotional balance, dealing with the symptoms of nervousness and stress. Precautions: Elemi oil can be a problem for those who have sensitive skin but generally it is considered safe for common use. About: Native to Australia, the Aborigines have been using Eucalyptus in traditional medical practices for years. This sought after essential oil is well known for high concentrations of 1,8 cineole, the properties of which mean that the oil can be used in support of a wide variety of health conditions as well as various household and commercial uses. Popular to diffuse or inhale when one is feeling under the weather from cold and flu. Rectification and blending is common with eucalyptus oils due to the British Pharmacopoeia (BP) specifications requiring a minimum 1,8-cineole content of 70%. Rectification is where the oil is redistilled to remove some fractions thus increasing the % of 1,8-cineole. This isn’t a bad thing but it does depend on what you are looking for from the oil. With some chemical constituents being removed to increase the % of 1,8-cineole, it will of course change the overall therapeutic properties of the oil. Eucalyptus Globulus – also known as Blue-Gum or Tasmanian Blue Gum Eucalyptus. This essential oil usually has the highest 1,8-cineole levels and is heavily cultivated in Portugal, Spain and China. Native Country: Australia but has spread to many other countries such as Europe, South Africa, India and China. Most of these plantations in other countries have used the Australian seed. Eucalyptus Globulus – fresh, strong, uplifting scent that is medicinal, herbal and clean. A typical Eucalyptus odor. Eucalyptus Radiata – similar to globulus in that it is medicinal and clean, but also peppery and camphorous aromas. Eucalyptus Citriodora – sweet, strong, camphorous, fresh lemony scent. Citronella like. Precautions: Generally safe for regular use, however you should not use if pregnant or if you have estrogen dependent cancer. Not safe for children. Native Country: The herb is native to southern parts of Europe and the Mediterranean such as Italy, Greece and France. Scent: Fennel oil has a sweet, earthy, peppery and spicy odour. Mind: Closely related to the earth element, this oil is warming and grounding. Precautions: Fennel essential oil should never be used by those who have been diagnosed with epilepsy or cancer and it should also be avoided by those who are pregnant. It should not be used on children. Bitter fennel may cause sensitisation in some people. Native Country: Fir trees are found throughout north and central America, Europe, parts of Asia and Russia. The oil is produced mainly in Europe. Mind: Fir needle essential oil can help to calm you in times of anxiety and stress. Elevating and grounding. Precautions: Fir needle essential oil is generally safe for common use but can cause issues with bronchial asthma and coughs as it can cause bronchial spasms. About: Frankincense is an oil that has used for thousands of years. The ancient Egyptians used it to make incense and in skin care products. It has a number of physical and emotional benefits and is extracted from the resin of the tree. Frankincense is well-known as one of the gifts taken by the three wise men to the baby Jesus in the Bible. Frankincense is also known as olibanum. Scent: The fragrance of frankincense essential oil is woody, but warm, spicy, earthy and slightly sweet. Mind: Frankincense oil can be used to help to achieve emotional balance and to deal with nightmares, anxiety, nervous tension and stress. Supports the flow of Qi. Good to use for meditation to quieten the mind. Precautions: Frankincense essential oil is generally safe for common use. About: Geranium is a very popular flower and the essential oil provides many benefits. It is used to help with many emotional issues but can also be of benefit in physical complaints too. It is often used as an alternative to rose oil because of the high cost of rose oil. Popular with the cosmetic industry and can be found in a wide range of common products. Due to the 200+ species of Geranium, as well as the hundreds of hybrids, there is confusion over the origin, although South Africa is generally considered to be where Geranium originates from. The country where Geranium oil is sourced from does make a difference to the oil and ‘Bourbon Geranium’ from the Reunion Islands is considered the most important. Scent: Bourbon Geranium has a floral, rose like fragrance that is also slightly minty. Mind: Geranium can be used to help lift your mood while calming your mind to alleviate the symptoms of anxiety and stress. Sedative yet uplifting. A cooling oil, it also serves to strengthen Qi. Precautions: Geranium can be irritating on sensitive skin and it should not be used before operating machinery or driving due to the sedative effects. It should be avoided by those who are pregnant and should not be used on children. About: Chamomile is one of the oldest known medicinal plants and it is a very popular herbal remedy and essential oil. It is most often used for its calming effects although it can be used to help with other ailments. The German variety of chamomile is very similar to the Roman variety and in most cases they can be switched with little difference in effectiveness for most objectives. The oil is commonly used in cosmetics and the flowers in tea. The source of the oil along with when the plant was harvested (in terms of its development stage) can significantly affect the chemical composition of the oil. Native Country: German chamomile is native to Europe and cultivated in Hungary, Yugoslavia, Bulgaria, Russia, Germany, Belgium and Spain. Mind: Chamomile can be used to help with anxiety and stress symptoms and promotes the flow of Qi. Good to calm nervous tension. Precautions: It is considered one of the safest oils but the relaxing effects of German chamomile essential oil mean that it should not be used before operating machinery or driving. About: Ginger is a well-known ingredient in cooking and it has long been used in alternative medicine for its varied health benefits. The oil is distilled from the root of the plant and has been in use in Asian, Arabic and Indian medicines for centuries. Native Country: Ginger is widely believed to have come from India originally but now in China, South East Asia, Australia and parts of Africa. Scent: Ginger has a spicy, woody and warming fragrance with a sweet undertone. Precautions: Ginger essential oil can be irritating for the skin for some. About: Grapefruit essential oil is considered to be one of the most uplifting and one of the most versatile. The oil is cold-pressed from the skin of the fruit. It is not overly strong like some other citrus oils and the oil can be obtained from the white or pink grapefruit. Native Country: The grapefruit developed in Barbados as an accidental hybrid of two other fruits. Nowadays the oil producing countries tend to be the USA, Brazil, West Indies, Israel and Nigeria. Scent: Grapefruit essential oil has a fresh, sweet fragrance that is very citrus-like. Mind: Grapefruit essential oil is very uplifting which makes it great for when you are feeling down, fatigued or stressed. It is also cooling. Precautions: Grapefruit essential oil can be a skin irritant for some people. When using the oil it is recommended not to expose the skin to sunlight for at least 24 hours afterwards because it can cause photo-sensitivity. About: Helichrysum is an essential oil that is used mainly for physical healing. It is considered to be one of the best regenerative oils available. The essential oil is extracted by a process of steam distillation from the flowers of the plant. As an alternative medicine it has been in use for thousands of years. Also a popular ingredient in skincare and cosmetic products. Native Country: The helichrysum flower is native to the Mediterranean region. Mind: Helichrysum essential oil helps support the flow of Qi. Warming, this oil can help provide grounding. Precautions: Helichrysum is generally considered safe to use. About: Hyssop is a strongly fragrant herb that was widely used by the Romans, who liked its purification qualities. This herb has even been mentioned in the Bible and it is known to help with a variety of ailments. The oil is obtained by steam distillation from the leaves and flowers of the plant. Native Country: The hyssop plant is native to southern Europe with France, Hungary and Holland being key producers. Scent: Hyssop essential oil has a fresh, fruity and slightly woody aroma with spicy undertones. Mind: Hyssop essential oil is useful for helping to find emotional balance, help with the symptoms of anxiety and promote mental alertness and focus. A warm oil, hyssop supports yang Qi and is also used to cleanse an area before use such as diffusing it in a meditation zone before you sit down to meditate. Precautions: Hyssop essential oil should not be used by those who are suffering from epilepsy and it should not be used by those who are pregnant. It is not considered to be safe for children under the age of 12. Important to note is that H. officinalis contains toxic ketones and a high percentage of pinocamphone. H. officinalis var. decumbens does not contain these potentially toxic constituents. About: Jasmine essential oil is actually not an ‘essential oil’ and is an absolute as solvent extraction is needed. It is one of the most fragrant oils there is and it is used for many different health reasons. It is also one of the more expensive oils. The oil is extracted from the flowers using solvent and is widely used in the perfume industry. Native Country: The jasmine flower is generally found in tropical parts of the world but it is believed that it originated in the Himalayas. Scent: Jasmine essential oil has a beautiful, rich, floral aroma. Mind: Jasmine essential oil can be used to lift your mood and help with stress and nervousness or if you are feeling down and in times of change and emotional unbalance. Jasmine is considered one of the most powerful oils for the emotions. A warming oil, it supports yang. Also considered by some to be an aphrodisiac. Precautions: Jasmine essential oil should not be used by those who are pregnant. About: Juniper is a fragrant conifer tree and its medicinal properties have been known for centuries. The oil is obtained from the berries through steam distillation. The berries themselves can take up to three years to ripen. Often used in cosmetics as a fragrance. Scent: Juniper essential oil has a crisp, pine-like, sweet and woody fragrance that is slightly fruity. Mind: Juniper essential oil can be used to help to ease the symptoms of anxiety, nervousness, mental fatigue and stress. It is also a useful oil for use when meditating. This warming oil stimulates yang energy. Good to use when meditating, the scent is associated with purification. Precautions: Juniper essential oil should not be used by those who have kidney or liver problems or those who are pregnant. It should not be used on children aged 6 and under. About: Lavandin is a similar essential oil to lavender. This plant is actually part lavender and was created when it was crossed with spike lavender. It is much easier to cultivate and yields a lot more oil than true lavender which is likely one of the reasons why it is often an adulterant of true lavender. Lavandin is used mainly by the perfume industry, but it is not considered to have the same therapeutic benefit as true lavender. Native Country: The lavandin hybrid plants were originally developed in France. Scent: Lavandin essential oil is similar to lavender in fragrance but is slightly herbier. Mind: Lavandin essential oil is thought to help with stress. Precautions: Lavandin essential oil is considered generally to be a safe oil. About: Lavender is the most versatile and useful essential oil that any aromatherapy professional can add to their kit. It can be blended with most other oils and can be used to help with a wide range of conditions and ailments. It is also a useful ingredient for making your own household cleaning products. Lavender is a very easy herb to grow at home if you so wish, and the oil is steam distilled from the leaves and the flowers. Lavender is the most commonly adulterated essential oil. Native Country: The lavender plants are widely grown around the Mediterranean. Bulgaria and France are the main producers currently, with high altitude lavender being regarded as the highest quality (due to lower temperature distillation being possible). Scent: Lavender essential oil has a sweet, floral, gentle fragrance that has a relaxing effect. Mind: Lavender is useful for helping to ease the symptoms of stress, anxiety, insomnia and melancholy. This cooling, harmonising oil can be both sedative or stimulant in calming the mind and easing stress while also helping to lift the spirit if you are feeling emotionally drained. For this reason it is good to use with meditation. Lavender oil also supports Qi of the heart. Precautions: Lavender should be avoided by those who have been diagnosed with an oestrogen-dependent cancer. The sedative effects of the oil mean that it should not be used by those who are driving or operating machinery. About: Lemon verbena is a plant that can be found all over the world now and the essential oil that is extracted from the leaves can be used for a variety of purposes, while the plant itself is popular in cookery. This oil is expensive and commonly adulterated with lemongrass, lemon and citronella. Native Country: The lemon verbena plants are native to South America, particularly Chile and Argentina. Scent: Lemon verbena has a light lemon fragrance that is very fresh. Mind: Lemon verbena essential oil has properties that can help with fatigue, lift your mood and reduce stress and nervousness. It can help to achieve emotional balance. Precautions: Lemon verbena is a phototoxic oil, so when using it on the skin you should stay out of the sun for between 12 and 24 hours afterwards. Also has the potential to be a dermal irritant and sensitiser. About: Lemon essential oil is well-known for its detoxifying qualities and it has good levels of vitamins and minerals. It can be used of a wide range of physical and emotional ailments. The essential oil is cold-pressed from the rind of the fruit. Native Country: It is not known exactly where lemons first originated but it is thought that it may have been in northern parts of India, Italy, China or Burma. Scent: Lemon essential oil has a strong yet light, citrus fragrance that is unmistakable. Mind: Lemon essential oil is known to be cooling and have properties that can help to promote mental alertness, lift the spirits and fight mental fatigue. Spiritually cleansing, this oil is often used when meditating. Precautions: Lemon essential oil can be irritating for those who have sensitive skin and its phototoxic qualities mean that it is better to stay out of the sun for around 24 hours after use. It should be noted that this oil does not tend to last as long as other essential oils – keep for no more than 10 months after purchase. About: Lemongrass essential oil comes from the plant of the same name, which is also well-known for its culinary benefits. The plant is a tropical grass and it is very popular as an insect repellent, but it is also useful for helping with the symptoms of a number of physical ailments. The oil is steam-distilled from the grass. Mind: Lemongrass essential oil is uplifting and helps to focus the mind. Precautions: Lemongrass essential oil is occasionally an irritant for those with sensitive skin and it should not be used by those who are suffering from oestrogen-dependent cancers. It is not a safe essential oil for those who are aged 6 and under. Native Country: It is thought that limes originally came from North India and Burma. Scent: Lime essential oil has a sweet, citrus and very fresh aroma. As the oil ages, the odour deteriorates and becomes harsh. Mind: Lime essential oil is refreshing and uplifting good to help fight fatigue and for mental alertness. Also good to use when you are feeling down or stressed. Precautions: Lime essential oil is occasionally an irritant for those with sensitive skin and it also has phototoxic qualities (one of the highest of all citrus oils) so avoid sunlight for 24 hours after use. Native Country: It is thought that mandarin oranges originally came from China and South East Asia. Scent: Mandarin orange oil has a sweet, citrus and fruity fragrance. Precautions: Mandarin orange oil can be phototoxic so after use avoid being in direct sunlight for 24 hours afterwards. About: Manuka is a plant that has been used for its health benefits for thousands of years. The development of the essential oil is fairly new but it can be used to help a wide range of symptoms. Native Country: Manuka is a plant that is native to New Zealand. Scent: The fragrance of manuka is slightly woody, spicy, a little earthy and balsamic. Mind: Manuka essential oil can be used to help with controlling anger, easing anxiety and soothing nervousness. Precautions: Manuka oil is generally safe for common uses. About: Marjoram is a popular culinary herb that has been in use for thousands of years. It is well known for its qualities as well as its ability to help with a number of emotional ailments. The oil is obtained by a process of steam distillation from the flowers and leaves of the plant. The herb is very similar to oregano but should not be confused with it, nor with Spanish marjoram or pot marjoram. Scent: Marjoram essential oil has a slightly spicy but very warm and woody aroma. Mind: Marjoram is useful for helping to heal the symptoms of anxiety and stress. Also said to be comforting to those suffering with grief or loss. Helps support the flow of Qi. Precautions: Marjoram essential oil should not be used by those who are pregnant and the sedative effect of the oil means that it should not be used by those who are planning to operate machinery or drive within a few hours of use. Blends with: Basil, bergamot, black pepper, cedarwood, cinnamon, cypress, eucalyptus, fennel, fir needle, German chamomile, juniper, lavender, lemon, lemon eucalyptus, lemongrass, manuka, orange, peppermint, petitgrain, pine, rosemary, tea tree, thyme. About: Melissa is also referred to as lemon balm and sweet balm and it has been used for alternative medicinal purposes for thousands of years. The oil is steam distilled from the leaves and the flowers. Melissa is considered to be a rare essential oil and as a result it is often very expensive and the production amount of genuine melissa oil is often much less than that which is available for sale due to the high rate of adulteration of this oil. Native Country: Melissa essential oil is native to the Mediterranean region. Scent: Melissa essential oil has a lemon fragrance that is fresh, sweet, citrusy and slightly herby. Mind: Melissa essential oil is cooling and considered to be useful for lifting your mood and reducing nervousness, stress, anxiety, insomnia, depression and when you are feeling lost. Melissa is also a sedative so good to use in times of anger or crisis. Promotes intuition and inner peace and is a Qi stimulant and associated with the heart chakra. Precautions: Melissa essential oil is considered to be an irritant and sensitiser so those with sensitive skin might be best to avoid and a patch test is recommended. It should also be avoided by those who are pregnant. Also care needs to be taken due to the adulteration risk. About: Myrrh has long been seen as a luxury product and was used by the Egyptians as part of the embalming process. It can support a range of health areas. The essential oil is steam distilled from the tree resin and the herb has also been used in Chinese medicine. Native Country: The tree from which Myrrh is obtained is native to parts of North Africa and Southern Arabia. Scent: Myrrh essential oil has a warm, spicy fragrance that is earthy, woody and slightly balsamic and medicinal. Mind: Myrrh essential oil is considered to be useful during meditation due to its sedative effects instilling a deep calm. This means it is also good to use in times of stress. Myrrh is a warming oil that is associated with the base chakra and is good for the spirit. Precautions: Myrrh essential oil should be avoided by those who are pregnant. About: Neroli essential oil is one that is very popular with aromatherapy professionals. To create 1lb of essential oil it takes around 1000lbs of orange blossoms. This means that this is also one of the most expensive oils to use and is often adulterated. It can help with a range of emotional and physical ailments. Neroli oil is obtained by a process of steam distillation from the flowers of citrus aurantium. Native Country: The blossoms come from the bitter orange tree that is native to parts of China, India and Vietnam. Scent: Neroli essential oil has a strong citrus fragrance that is also sweet and floral. Mind: Neroli essential oil is one of the best oils to use to use as a sedative and to lift your mood which also makes it good to use to reduce anxiety, insomnia and stress. This oil will calm the heart and mind and supports the spirit. Precautions: Neroli essential oil has a natural sedative effect so it is a good idea to avoid driving or operating machinery after using it. About: Niaouli is similar to tea tree oil. There is a range of health benefits to the oil. It is obtained by a process of steam distillation from the leaves of the plant. It is interchangeable with tea tree oil and for some users it may be the better choice as it is less likely to irritate the skin. Native Country: The plant is native to Australia. Scent: Niaouli essential oil has a sweet, camphorous, medicinal aroma. Mind: Niaouli essential oil is considered to be useful for promoting mental alertness. About: Nutmeg is a spice that is popular in cuisine all over the world, but few are aware that the essential oil has a wide range of benefits. It is considered to be useful for both emotional and physical ailments and it can be blended with a number of other oils. The essential oil is steam distilled from the seeds. Native Country: The tree that nutmeg is derived from is native to the Banda Islands in Indonesia. Scent: Nutmeg essential oil has a fragrance that is similar to the spice – strong, spicy and slightly woody. Mind: Nutmeg is said to have psychotropic properties and the essential oil is known for its stimulating properties which aid mental alertness. Precautions: Nutmeg essential oil should not be used by those who are pregnant and the relaxing effects of the oil mean it should not be used before driving or operating machinery. About: The health benefits of oranges are well-known, but the essential oil can also help support your health also. It is a very good mood-lifting oil, which is obtained by cold-pressing from the rind of the fruit. It is a popular oil to add to household cleaning products. Native Country: The orange tree is thought to have originated in southern China and north-eastern parts of India. Scent: The fragrance of orange essential oil is like very concentrated oranges and sweet, fresh and citrus. Mind: Orange essential oil is uplifting yet a mild sedative and can help reduce anxiety, stress, insomnia and nervousness and if you are feeling down. Helps stimulate the flow of Qi. Precautions: Orange essential oil is phototoxic so those who use it should stay out of the sun for at least 24 hours afterwards. You should be aware that the essential oil has a short shelf life. Native Country: The first recorded use of oregano is by the ancient Greeks, although the herb is widely found in the Mediterranean region. The plant is usually found in mountainous areas. Scent: The fragrance of oregano is sharp, camphorous and herbaceous. Mind: Oregano essential oil is used mainly for treating physical symptoms but is said to be stimulating. Precautions: Oregano can be irritating on some sensitive skins so a patch test is recommended. It can also be an irritant on the mucus membranes. It should be avoided by those who are pregnant. About: Palmarosa is a great essential oil to have around if dry skin is a problem. It is extracted from a wild grass that has a flowering top by a process of steam distillation and it is often used in cosmetic products. However, it has plenty of other health benefits too. Native Country: Palmarosa grass is native to India. Scent: Palmarosa essential oil has a sweet, floral fragrance that is similar to roses. Mind: Palmarosa essential oil is calming and uplifting and considered to be useful for boosting mental alertness and for easing the symptoms of stress and anxiety. A cooling oil, it supports the energy of yin. Precautions: Palmarosa essential oil is generally considered safe for use. Blends with: Bay, bergamot, cardamom, cedarwood, clary sage, clove, coriander, frankincense, geranium, German chamomile, ginger, grapefruit, helichrysum, juniper, lavender, lemon, lemongrass, mandarin, myrrh, neroli, orange, patchouli, petitgrain, Roman chamomile, rose, rose geranium, sandalwood, spikenard, tangerine, ylang-ylang. About: Patchouli is an essential oil that was originally very popular in the 1960s and 70s with the hippy movement but it has health benefits as well as cosmetic. It has a long shelf-life and is a useful addition to any practitioner’s collection of oils. The oil is steam distilled from the leaves of the plant. Native Country: Patchouli is native to tropical regions of Asia. Scent: Patchouli essential oil has a strong, sweet, spicy, herby and earthy aroma. Mind: Patchouli essential oil is considered to be useful for lifting the mood and reducing anxiety, stabilising the mind. It can help to bring around emotional balance and is useful during meditation to help reconnect the mind and body. Supports Qi deficiency. Cornmint is cheaper to produce and is often blended with peppermint as an adulterant but it is more toxic. Native Country: Peppermint is native to Europe and the Middle East. Precautions: Peppermint essential oil can be irritating for those who suffer from sensitive skin so a patch test is recommended. It can also be irritating for the mucus membranes. Peppermint should be avoided by those who suffer from epilepsy and by those who are pregnant. It is not suitable for those who are aged 6 and under. About: Petitgrain is sometimes called bitter orange, but the fragrance is one that makes this a very popular oil. It is often used to help with emotional issues, but can be used to help with a variety of physical ailments. The oil is steam distilled from the leaves of the neroli tree, and occasionally from the branches too. Native Country: The tree is native to southern Southern China and North East India. Scent: Petitgrain essential oil has a fresh, slightly floral, citrusy fragrance. Mind: Petitgrain essential oil is considered to be useful in lifting your mood and dealing with anxiety, stress as well as for nervousness and relaxation. Similar to Neroli for the mood lifting properties. Also good to use to help combat insomnia. Precautions: The sedative effect of petitgrain means that those using it should not drive or operate machinery directly afterwards. Native Country: The tree is native to much of the northern hemisphere but the best quality is thought to be from Tyrol, Austria. Scent: Pine essential oil has a pine fresh, woody fragrance. Mind: Pine essential oil has properties that can help to deal with nervousness and stress and help to boost mental alertness. Good to use to combat fatigue. A warming oil that supports Qi. Can also be used to clear the air ready for meditation. Precautions: Pine essential oil should not be used by those who are pregnant or on children aged 6 and under. The potential for irritating the skin means that a patch test is recommended. 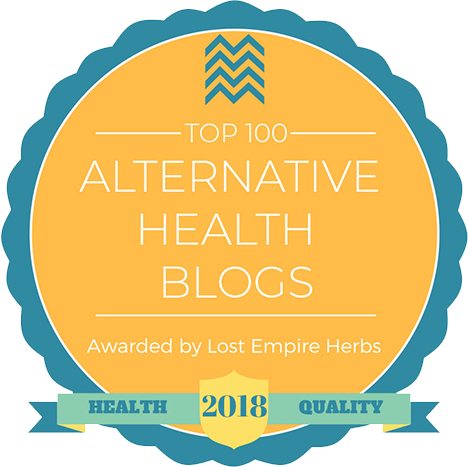 About: Roman chamomile is known as one of the most gentle essential oils and famous for being a good sedative oil and is slightly more so than German chamomile. The wide range of physical and emotional ailments that can be aided with this oil means that it is a must for anyone building a small kit of oils. The oil is obtained by steam distillation of the flowers. Native Country: The herb is grown in many parts of the world now but thought to be native to Western Europe and was first used medicinally by the ancient Egyptians. Scent: Roman chamomile essential oil has a fresh, sweet and herbaceous fragrance. Mind: Roman chamomile essential oil can be used to help with easing the symptoms of anxiety and stress and the soothing, calming nature of the oil means it is good to use when you are feeling down. Also good for insomnia. Promotes the flow of Qi and is soothing to the spirit. Related to the throat chakra. Precautions: Roman chamomile essential oil has a natural sedative effect and should not be used just prior to driving or operating machinery. It should be avoided by those who are pregnant. Native Country: The Geranium plant is originally native to South Africa but now there are hundreds of different species and hybrids so this is almost irrelevant in terms of essential oil production today. Scent: Rose geranium has a slightly floral, rose-like fragrance. Mind: Rose geranium oil is a sedative and uplifting oil and can be used to help lift your mood and reduce stress, nervous tension and anxiety. A cooling oil, Geranium strengthens the flow of Qi. Precautions: Rose geranium essential oil can be a problem for some people who have sensitive skin so a patch test is recommended. It should also be avoided by those who are pregnant. Native Country: The flowers are thought to be native to Europe and West Asia. Mind: Rose oil can be used to help to lift your mood and as a sedative to the nervous system to help deal with the symptoms of anxiety, stress, insomnia, anger, nervousness and grief. Comforting to the heart. A cooling oil associated with the heart and sacral chakras and thought by some to be an aphrodisiac. Precautions: Rose essential oil should be avoided by those who are pregnant. Native Country: Rosemary is found all around the Mediterranean region. Scent: Rosemary essential oil has a very fresh, herbaceous, slightly woody fragrance that is also slightly medicinal, with the French variety being a bit lighter than the Spanish one. The Tunisian variety is similar to eucalyptus. Mind: Rosemary essential oil is very stimulating to the mind and can help with memory function and mental alertness. Rosemary is known as one of the most invigorating essential oils and supports yang energy and the flow of Qi. Associated with the third eye or brow chakra. The camphor-borneol variety is considered the best stimulant whereas the verbenone is considered the most gentle and often used in topical preparations. Precautions: Rosemary essential oil should not be used by those who suffer from hypertension, those who are pregnant and those who have epilepsy. About: Rosewood is good for the skin and to support emotions. However, Rosewood is endangered so can only be sourced from a renewable source. The oil is steam distilled from the wood. Native Country: Rosewood is found in a number of areas in Brazilian and the Amazon basin. Scent: Rosewood essential oil has a sweet, woody and flowery fragrance. Mind: Rosewood essential oil can help lift your mood and liven your spirits while also boosting emotional balance. Good to use if you are feeling stressed, anxious, worn out or down. Associated with the crown chakra, Rosewood is good to use when meditating for its calming and spiritually cleansing effects without drowsiness. Precautions: Rosewood essential oil is generally thought to be safe for use. About: Sage essential oil is taken from the herb of the same name, which has long been very popular in cooking, but the essential oil is proving to be just as popular for its therapeutic and skincare benefits. The herb has been used medicinally for centuries. The oil is obtained by steam distillation of the leaves of the plant. Native Country: Sage is native to the Mediterranean region. Scent: Sage essential oil has a fresh, herbaceous and camphor-like fragrance. Mind: Sage essential oil can help lift your mood and can be used to boost mental alertness. A drying oil that help replenish depleted Qi. Popular when meditating to enhance focus. Precautions: Sage essential oil should be used with extreme caution and ideally under the guidance of a professional. It should be avoided by those who suffer from epilepsy as it contains high percentages of camphor and thujone. It can be irritating for those who have sensitive skin so a patch test is recommended. It should also be avoided by those who are pregnant and not to be used with children. Native Country: Sandalwood is native to Asia and eastern parts of India. Scent: Sandalwood essential oil is a floral, woody, sweet fragrance. Mind: Sandalwood essential oil is useful for easing anger and irritability, as well as lifting your mood and reducing nervousness. It is a good oil for use during meditation to calm and clear the mind. A cooling oil associated with the crown chakra and linking it to the base. Precautions: Sandalwood essential oil has sedative qualities so care should be taken if using the oil then driving or operating machinery. Blends with: Benzoin, bergamot, birch, black pepper, cardamom, cedarwood, citronella, clary sage, clove, coriander, fennel, frankincense, geranium, ginger, jasmine, lavender, lemon, mandarin, manuka, myrrh, neroli, orange, palmarosa, patchouli, petitgrain, pine, rose, rose geranium, rosewood, tangerine, vetiver, ylang-ylang. About: Spearmint is a mint oil that is not as strong as peppermint. It is used for a variety of health conditions and it is often used as a replacement for peppermint oil because it is milder and gentler. It is obtained by a process of steam distillation from the leaves and flowers of the plant. Native Country: Spearmint is native to the Mediterranean region. Scent: Spearmint essential oil has a mild mint fragrance. Mind: Spearmint essential oil can be used to help to lift the mood and ease mental fatigue, as well as nervousness and stress. Precautions: Spearmint essential oil can be irritating for the mucus membranes and can also be a problem for those who suffer from sensitive skin, so a patch test is recommended. About: Spikenard is an herb that is very similar to valerian and occasionally it is called Indian valerian. It is a useful herb for conditions like insomnia but it has also been used in perfumery. The herb has been used medicinally for many centuries. The oil is obtained by steam distilling the plant’s roots. Native Country: Spikenard originates from Nepal, China and India. Scent: Spikenard essential oil has a heavy, earthy, woody and harsh fragrance similar to valerian. Mind: Spikenard essential oil is a sedative that can be used to help with nervousness, stress, insomnia and tension. A good oil to use to restore calm and balance. Precautions: Spikenard essential oil is a relatively strong sedative so it is considered to be safer to avoid it before driving or operating machinery. About: Spruce is an essential oil from the evergreen family and it is one that is becoming increasingly popular. It can be used for freshening the air and is found in many household products, but it is also very useful for easing a number of physical conditions. The essential oil is steam distilled from the needles of the spruce tree. Care should be taken not to use the oil once it has oxidised. Native Country: There is evidence to suggest that the original spruce trees came from North & East America. Scent: Spruce essential oil has a fresh, woody and earthy fragrance. Mind: Spruce essential oil can be used to help with meditation and relaxation and can help to ease the symptoms of stress. Precautions: Spruce essential oil is sometimes irritating for those who have sensitive skin so it is a good idea to conduct a patch test before using the oil. About: Tagetes is growing in popularity as it is a useful insect repellent although it is not as popular in alternative medicine yet. The herb that the oil is taken from is very similar to the marigold. The oil is obtained by steam distilling the flowering herb and an absolute is obtained by solvent extraction using the same plant part. Native Country: Tagetes essential oil is believed to be native to South America & Mexico. Scent: Tagetes essential oil has a strong, herbaceous, sweet fragrance. Mind: Tagetes essential oil is used mainly to assist with physical conditions. Precautions: Tagetes essential oil can be irritating and sensitising for the skin so you should do a patch test first. The oil itself is a very strong oil so it should be blended with care. The oil is also phototoxic so those using it should not go out into the sun afterwards for at least 24 hours afterwards. It should be avoided by those who are pregnant. About: Tangerine is part of the mandarin family (tangerine is a much bigger fruit) and the essential oil is very similar to mandarin oil, although the fragrance is different. The essential oil is obtained by cold-pressing the rind of the fruit. Avoid the use of tangerine essential oil that has oxidised. Native Country: Tangerine is thought to have originated in Northern Africa. Scent: Tangerine essential oil has a fresh, sweet and citrusy fragrance. Mind: Tangerine essential oil can be used to help to boost moods and ease nervousness as well as deal with stress and tension. Similar effects to mandarin. Precautions: Tangerine essential oil can be irritating for those who have sensitive skin. The oil ‘may’ be phototoxic for some so it should not be used before going out in the sun for at least 24 hours. About: Tea tree essential oil is widely considered to be one of the most useful essential oils that can be used for a wide variety of health and household benefits and has been used by the aborigines for hundreds of years. It is also a useful addition to household cleaners. The essential oil is steam distilled from the leaves of the tree. Native Country: Tea tree originated in Australia. Scent: The fragrance of tea tree oil is fresh, herbaceous and woody. Mind: Tea tree essential oil is used mainly for physical purposes but it also strengthens the defensive Qi and focuses the mind and freshens the spirit. Precautions: Tea tree essential oil should not be used internally and it may be irritating for those who have sensitive skin. If unsure, carry out a patch test. Native Country: Thyme originated in the Mediterranean region. Scent: The fragrance of thyme oil is fresh, herbaceous and medicinal. Mind: Thyme essential oil can be used to help lift your mood and to help to boost memory function. A mental stimulant it can help you focus and fight fatigue. Thyme supports and boosts Qi, the yang Qi of the heart in particular. Precautions: Thyme essential oil might be a problem for those who have sensitive skin so a patch test might be a good idea as it can be a sensitiser. It can be irritating for the mucus membranes and it should not be used by those who are pregnant. About: Valerian is a great natural sedative so it has become popular to help those who need help sleeping, but the herb has been in use for this purpose for centuries. The oil is obtained by steam distillation of the root of the plant. Native Country: Valerian is native to Asia and also grows in Europe. There also exists an Indian valerian from Valeriana wallichii but said to have a lower quality aroma. Scent: Valerian essential oil has a musky and earthy fragrance. Mind: Valerian essential oil is calming so can help with anxiety, depression, insomnia, nervousness and stress. It can help to bring about a sense of emotional balance. Precautions: Valerian essential oil might not be suitable for those who have sensitive skin so a patch test should be carried out as it can be sensitising. It should not be used before driving or operating machinery due to the sedative effect. The oil should be avoided by those who are pregnant and it should not be used on children aged 6 and under. About: Vetiver is considered to be useful for balancing all aspects of body and mind. The oil is obtained by steam distillation from the roots of the grass. The strength of vetiver oil means that it should usually be blended before use. The highest quality vetiver essential oil is referred to as Bourbon vetiver and is from the Reunion Islands. Scent: Vetiver has a fragrance that is earthy, sweet and herby. Mind: Vetiver can help lift your mood and the calming properties might help with with absent-mindedness, anger, anxiety, achieving emotional balance, insomnia and stress and it is good to use with meditation. A cooling oil it lifts the spirits and supports yin Qi, associated with the root chakra. It can help ground and balance your spiritual energy. Precautions: Vetiver has a sedative effect that means that driving and operating machinery could be dangerous so avoid these activities after using the oil. About: Ylang-ylang is a popular essential oil that can help with a wide range of emotional and physical complaints. The essential oil is steam distilled from the flowers of the plant. There are different levels of distillation for this oil so it is important to make sure which level you are buying. The higher grades are usually used in perfumery and the lower grades in household products. Native Country: Ylang-ylang is native to South East Asia. Scent: Ylang-ylang essential oil has a fragrance that is strong, fresh, floral and sweet. Mind: Ylang-ylang can help to lift your mood and reduce anger, anxiety, grief, nervousness and stress. It is a useful oil when meditating. Also said by some to be an aphrodisiac. A cooling oil, it helps create balance and peace. Precautions: Nausea and headaches can be a side effect of using too much of ylang-ylang essential oil. The sedative effect of the oil means that it should not be used just before driving or operating machinery. The statements contained herein have not been evaluated by medical practitioners. Neither Sacred Soul Holistics nor its products are intended for the purpose of diagnosing, treating, curing, or preventing any disease. If you are pregnant, nursing, taking medication, or have a medical condition, consult your physician before using these products. Although every attempt has been made to gather accurate information about the oils, you will still find different claims and variations of the benefits/properties associated with each oil around the web. Please feel free to make suggestions to improve this page for the benefit everyone. Essential oils are for external use only and under no circumstances should they be ingested. All content on this page is for information only. very nice article with simple explanations about the essential oils. I am so glad that I found this helpful post. I’m sleep-deprived, and sometimes stressed. My mom advised me lavender essential oil for massage and it was awesomeness. I prefer it too. Lavender is a universal oil and the most widely used of all essential oils. It has a traditional history for calming and balancing the mind and body.